The green bundle is a strategy that combines the public good of benefiting the environment with a private benefit for the consumer. 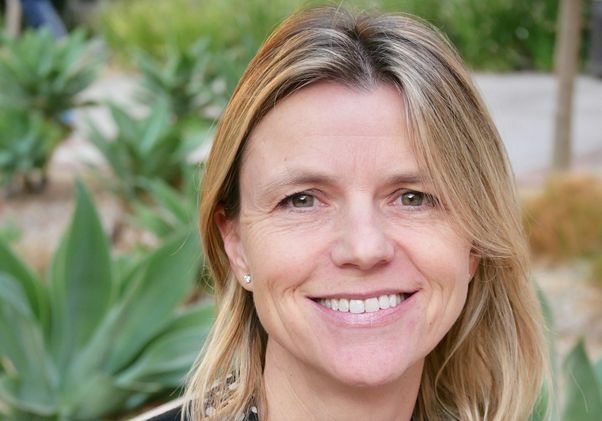 UCLA professor Magali Delmas, an environmental economist, studies what makes people and companies want to go green. One problem she’s observed: only “deep green” consumers will purchase sustainable products if those purchases require any kind of sacrifice or trade-off. 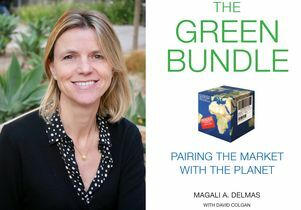 Now, the professor from UCLA’s Institute of the Environment and Sustainability and the Anderson School of Management has teamed up with the Institute of the Environment and Sustainability’s director of communications, David Colgan, on the book “The Green Bundle: Pairing the Market with the Planet.” At a Zócalo event on July 11, Delmas is scheduled to speak about how capitalism and environmentalism can overlap. 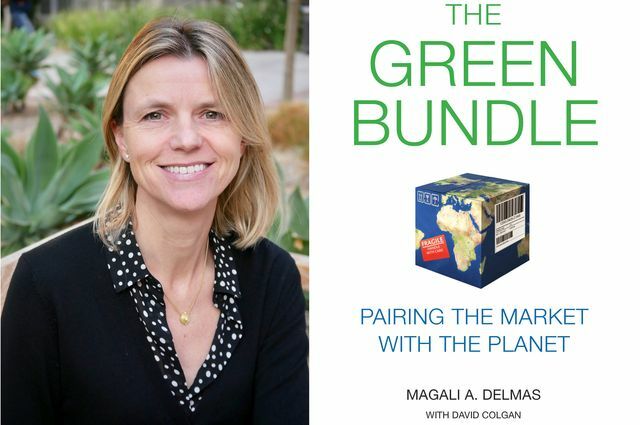 She sat down with UCLA Newsroom ahead of time to discuss the new book, which offers a guide for how companies can create green products for the “convenient consumer,” and shows how the human urge to consume can be harnessed to help the planet. What is the convenient consumer? There’s a continuum of deep-green to super-brown consumers, and most of us are in the middle — we’re the convenient consumer. Convenient consumers are people who want to do the right thing. The environment is something they want to protect. But they are not ready for any trade-offs. And I think that’s really the majority of people. Twenty years ago, a lot of companies thought that we would all become deep-green consumers. It has not happened because companies have continued to sell products that require consumers to accept trade-offs and make sacrifices, hoping that this tiny minority of super-green consumers would grow. But people have choices, and they have not made sacrifices. 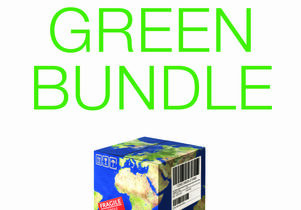 You suggest companies can encourage sustainable purchases by offering a “green bundle.” What is the green bundle? The green bundle is a strategy that bundles the environment — the public good — with a private co-benefit for the consumer. Most of us are not going to do things just because it’s good for the environment. People buy products that give them a benefit with no trade-offs. For companies looking to attract convenient consumers, what green-bundle benefits can they offer to crack that market? There are five, and the first and most obvious is quality. Wine is a good example. In a study, we found that eco-certified wines are rated as better-tasting by professional wine reviewers. And the best example is Tesla, where it’s all about the performance of the car, not about the environmental benefit of an electric vehicle. They’re an extreme case, where they don’t talk about the environment at all and just emphasize quality. That’s what I call the Trojan horse. The second element of the bundle is status — so, you buy a product to show off. That was successfully put to use by the Environmental Media Association when they helped Toyota to market the Prius by asking movie stars to use a Prius to drive them to the Academy Awards. The Prius is a pretty ugly car, but it looks different. It stands out. And the movie stars made it look cool. Our studies have shown you can also do this with energy use, if you show people how they rank — their status — compared to their peers. The third is health, which is probably the biggest driver of green consumption. You buy organic food because it’s good for your health. In one of our studies, called the ENGAGE project, we found even in energy conservation that health was an even bigger driver than money in that specific situation. The next element of the bundle is money. Money is a little more complicated. In the case of the ENGAGE experiment, people knew they could save money by conserving energy, but it was such a small amount of money it wasn’t a very effective motivator. And before bags were banned, Whole Foods provided incentives giving shoppers 10 cents to shoppers who brought their own bags. It was not very effective. As soon as cities banned the bags and you needed to pay 10 cents to get a bag, there were a couple of research papers that showed, in different locations, people actually suddenly bringing their bags. Ten cents can get you to change your behavior in one way when it’s a tax, but not when it’s a refund. And the last element of the bundle is emotion. This is when you get a connection directly to the product, through storytelling, for example. One company that does this well is TOMS Shoes. 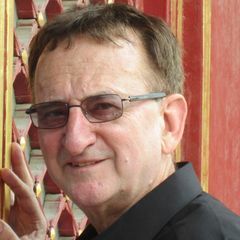 Often the environment is very theoretical; metrics are very difficult for people to connect with. But with TOMS, you buy a pair of shoes, and they give a pair to a child in need. You know exactly what you are going to give: a pair of shoes is pretty tangible. They have pictures of children so you can get this connection, the giving connection. These are the five elements of the bundle. Do you feel like a lot of companies are still approaching this wrong and struggling with how to get the right message across? A lot of companies are saying that they are disappointed by the lack of response of the market. That’s where I’m trying to say, try this different approach and you will be more successful. For example, I’m on KB Home’s National Advisory Board for sustainability, and I’ve said they need to think about health as a driver because people want to be in healthy homes. So they are now launching this initiative based on health, and healthy homes. We’ll see how it goes. But I think it should be more effective because a home that has no toxic chemicals, that has high indoor air quality, all this is going to be a better home. That might be more tangible than talking about how much energy we can save. It’s not incompatible, it’s complementary. That’s kind of incredible. So you could be affecting the national housing market. We’ll see. I think there is a general trend toward wellness in the industry. Together with UCLA’s Blum Center on Poverty and Health in Latin America, we’ve also been talking with CBRE, a commercial real estate company — the biggest, probably, in the world. They have been working with us, and they’re interested in this idea of shared value and community. So companies can choose any of these five ideas from the green bundle to add benefits to their products and encourage more people to buy green? It’s that plus information. Companies can’t just green-wash. First, you have to inform the consumer of the product’s environmental benefits in a way they trust. Then, you frame the message in terms of private benefits. You need both the information and the motivation together. I think maybe I’m an optimist. Can information save the Earth? If you give people all the information they need, would that be sufficient? What we’ve seen in our experiments is that information is necessary but it is not enough. To get people to buy — to get people to that next step which is, “OK, I trust the information, and now I want to buy this product or conserve,” you need motivation. That’s what this book is really mostly about: the motivation piece. First you provide the information, and then you get people motivated, and then I think we can accomplish things.